There’s nothing like traveling to a new place to shake up your outlook, relax, and truly pamper yourself! Yoga retreats are known to be completely immersive in yoga and wellness, which is why they’re perfect for de-stressing and re-evaluating what’s important to you. Attendees generally stay as a group in a venue that hosts everything from daily yoga classes to special excursions into the local community. Unlike staying at a hotel, most yoga retreats offer the option to stay in a private room or a shared room with other retreat attendees. With a focus on nature, wellness, and cleansing your mind and body, yoga retreats impart a sense of peace, rejuvenation, and inspiration. Book your flights, because you’ll definitely want to go to one of these yoga retreats this year! The Sedona In the Spring retreat is led by Los Angeles yoga instructors Heather Archer and Jamie Horgan. It includes a training to help enhance your yoga practice and give you a more in-depth education on designing your own creative yoga flow! Enjoy three fresh, healthy meals each day, two yoga classes per day, meditation, and excursions to explore Sedona. The best part? Relaxing in the hot tub post-class! 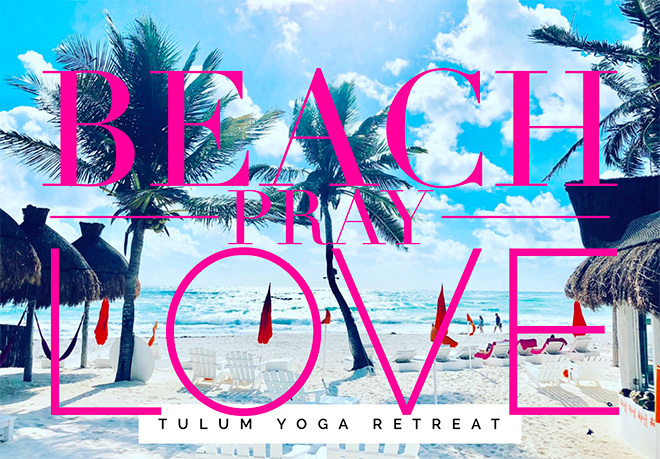 Not your typical yoga retreat, get ready for Beach, Pray, Love. Be the only guests at 4-star boutique Shambala Petit hotel with its own private beach for 7 days, 6 nights. This all inclusive retreat includes: daily yoga and meditation, Manifesting Love Workshop with Ashton August that integrates journaling, Law of Attraction and other tools from her book Learn. Grow. Shift., private consulting session with Jessica, and three delicious meals per day.